Treat yourself to words, wine and wonderful food at Grande Roche Hotel’s Culinary Innovations in Paarl on 27 September in the company of award-winning novelist, journalist, scriptwriter and documentary maker, Lauren Beukes. Lauren won the Arthur C Clarke Award for her novel Zoo City and her latest novel, The Shining Girls was named one of Huffington Post's top 40 most anticipated books for 2013 and will be adapted for international television release by Leonardo DiCaprio’s production company Appian Way in collaboration with MRC. It’s a thriller that breaks the boundaries and is bound to have readers on the edge of their seats. Thelema Vineyards is a family owned and managed wine estate in Stellenbosch. Situated at the top of the Helshoogte Pass, it is one of the highest and coolest estates in the area. The combination of Thelema’s wine making style, the high altitude and deep red soils result in flavourful, flamboyant, complex and long-lasting wines with a distinctive South African character. Thelema is an icon in the South African wine industry and was recently rated one of the world’s top 100 estates. Crime and thrilling adventure combined with the culinary alchemy of Bosman’s Restaurant’s Chef Roland and fine Thelema wines, all add up to an entertaining evening for gastronomes and bookworms alike. Only at the Grande Roche Hotel – where every reservation is the promise of a treat. Contact: Christine Visagie - 021 863 5100 christine@granderoche.co.za Visit www.granderoche.co.za MENU Canapés Thelema Muscat de Frontignan 2012 Glazed sole kotelette, prawn-octopus crépinette, apple-fennel-dill salad, sorrel crème and nut butter jus Thelema Rhine Riesling 2009 BBQ flavoured quail breast, sweet corn parfait, curry mayonnaise and baked quail praline Thelema Chardonnay 2011 Slow roasted veal shoulder, crispy veal head terrine, braised baby cabbage, and pancetta gnocchi Thelema Cabernet Sauvignon 2009 Tonka bean-ristretto . . . The SA.MAST sterilisation clinic is in need of assistance with a vehicle donation or sponsorship towards the purchase of one. Based in G section of Khayelitsha, SA.MAST undertake animal sterilisation programmes in communities that are unable to support and care for these animals and provide emergency medical assistance. 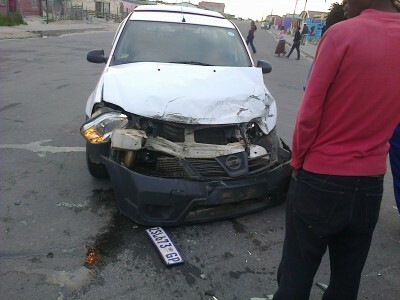 On 5 September 2013, Vuyolwethu Ponono, team Leader at the clinic and senior community liaison officer, was involved in a head-on collision and the Nissan NP200 he was driving is severely damaged. Vuyolwethu has sustained minor injuries but the accident brings the entire Sterilisation, Emergency Medical Assist Programme and kennel distribution project to a grinding halt. According to their insurance company, it will take a minimum of four weeks for any pay-out to be confirmed. Tamsin Nel, Managing Director of SA.MAST says: “They say no good deed goes unpunished and it seems that this will be a case in point. Yesterday, using only two vehicles, we managed to deliver thirteen kennels, rescue nine animals that were severely neglected and abused, including a young mommy cat suffering from horrific burns to much of her body because she had been doused in boiling water (her two kittens were also in a very bad state, suffering from malnourishment) and rush a total of three patients off to hospital for emergency medical treatment. Independent Newspapers are loaning us a truck to complete kennel deliveries, but we’re still in need of a bakkie to continue doing the work that people rely on us to do.” If you are able to sponsor a vehicle or donate towards the purchase of a replacement, please email samast@samast.co.za or call the clinic on 021 712 2170 or 084 778 1215. More Info link:: http://www.samast.co.za Twitter: https://twitter.com/sa_mast Facebook: https://www.facebook.com/SouthAfricaMassAnimalSterilisationTrust?ref=hl YouTube: http://www.youtube.com/watch?v=7NnRhgQoxo8 Author: Lika Tolken from MANGO-OMC. Originally distributed . . . The cash industry is evolving at a significant pace. In a society that is prone to the digital and rapidly evolving into a techno-centric society- is physical cash dying out and becoming obsolete? The role of cash and the modes of access to funds are constantly adapting and ever-changing. From technological innovations, financial institution restructuring, consumer behaviour changes, access to cash and the increase in alternatives means of accessing funds all play a role in the future of physical cash. Some of the topics to be addressed at the event include: • The alternatives and developments in the cash and payments industry that have been threatening the existence of cash • Innovations and technologies that the cash industry is going through • local and global trends cash face and the South African cash industry has to deal with • The risks faced within the cash handling industry Excerpt from MoneyWeb- Is cash still king? ”There is much talk about becoming a cashless society; consumers are asking whether the banknote will still be a valuable commodity in the future. Children are worried about their parents keeping cash in the house and not embracing technology. The dangers of travelling with cash and risk of loss are often communicated. Beyond 2020, trends predicted include non-cash payment methods and removing the circulation of cash (and as a result, the guns and crime) from society.” Email the project manager, Jason Joseph at Jason@tci-sa.co.za to find out more information. Alternatively call 011 803 1553 and speak to the marketing coordinator for exhibition, sponsorship or media partnership deals. More Info link:: http://www.tci-sa.co.za Twitter: www.twitter.co/tcisa Facebook: YouTube: Author: Sian Wirth from Trade Conferences International. Originally distributed by MyPR.co.za. No of Images Uploaded: One For high res version/s of these One image/s please contact: Trade Conferences International Images: . . . Celebrating Heritage Day at Kirstenbosch is a treat for the whole family and a time to discover more of the history of the “most beautiful garden in Africa.” The Heritage Trail offers an unusual way to uncover the development of the Garden and while this walk is normally self guided, during Heritage week from 23 to 27 September,our garden guides will be leading this trail at 11am each day. If the visitor wants the take the trail at their own pace or at any time during the year, then following the clearly marked signposts is a breeze. Picking it up from any place in the Garden the trail follows acircular route and specificHeritage Trail direction markers make it easy to pinpoint. Storyboards placed along the route illustrate significant historical places such as the Dell and Bath, the Koppie, Camphor Avenue and Van Riebeeck’s Hedge making it a pictorial tour of the oldest, most historic parts of the Garden. Old photos of the Garden illustrate how it looked in the beginning giving visitors the opportunity of seeing how the landscape has changed over the years. Add to that more interesting information about how Kirstenbosch began 100 years ago; the people who started it, people who have contributed to its development over the years, the difficulties and challenges they overcame, who and what was here before Kirstenbosch was a Botanic Garden - this is a real walk of discovery. Storyboards illustrating the many interesting gardens within the Garden;Useful Plants Garden, Garden of Weeds and Garden of Extinction bring an unusual aspect to the Trail and allow the visitor to extend the tour to explore these gardens en route. Following the walk take a welcome break at the Kirstenbosch Tea Room and enjoy some historical fare in the sweet shape of the decadently delicious traditional Afrikaans or Malay Koeksisters– true South African desserts. Or wander into the African splendour of moyo Kirstenbosch and relax with their special Heritage day offering of a mahala . . .
With only one week left until Southern Africa’s definitive Consumer Credit Conference taking place on 18 and 19 September 2013, we would like to invite all credit professionals to register for and attend this one of a kind consumer credit conference. Kim Dancey, Head: Policy, Regulation and Consumer Empowerment and Dr Sabine Strassburg, Senior Information and Research Specialist, both from FinMark Trust will be addressing the 6th Consumer Credit conference, discussing credit and borrowing: a demand side perspective. Finmark Trust will be addressing the pressure that unsecured lending puts on already indebted South Africans, an issue that needs to be better understood, especially now with the spiral of the market and economy. “Levels of unsecured credit have to be examined in the context of the broader socioeconomic pressures on individuals,” said Kim Dancey, FinMark Trust. “It is important to understand the impact that rising levels of unsecured credit – and subsequent indebtedness – have in areas where people are dealing with the rising costs of transport, electricity and food,” Kim Dancey added, "The broader socioeconomic impacts that go with unsecured credit place pressure on employees to get more money to make repayments." Although she said the health of the banking sector is not at risk, with 9% of the total loan book attributable to unsecured credit, "there is a broader picture that needs to be examined". Join consumer credit professionals from banks, microfinance’s, retailers, debt collection agencies, credit bureaus and other service and technology providers will gather at Emperors Palace to predict opportunities for 2014 and challenges that may also affect their companies, clients and organisations that help consumers. Contact project manager, Sharlee Vickery for registration details, or visit www.tci-sa.co.za, download and complete the brochure and email it back to info@tci-sa.co.za. Alternatively call 011 803 1553 for more information . . .
Commercial law advisors Whipping the Cat are poised to disrupt the status quo of the traditional, high cost legal industry by becoming a fixed cost legal partner for businesses of any size. 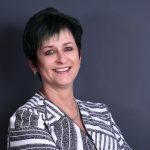 The boutique consultancy has this week announced the launch of its fixed-fee commercial legal services, aimed primarily at modern small- to medium-sized businesses, and also catering to the outsourcing needs of larger corporates. Offering a fresh new approach to commercial law through its pre-determined billing model, Whipping the Cat will provide a wide range of corporate legal services. These include: intellectual property advice; the drafting and vetting of contracts such as leases, business terms, license agreements, distribution agreements, franchise agreements, service contracts and teaming agreements and all employment-related matters. All services will be quoted for upfront and billed on a fixed fee basis, enabling clients to budget for their annual legal spend. This is a first for the South African commercial law sector, where legal advisory outsourcing and a fixed fee business model are virtually unheard of. “Every business requires high quality legal advice from time to time, but unless you have an open-ended legal budget - which few businesses do - the sound of a traditional law firm’s fee clock notching up billable hours can be daunting,” says Whipping the Cat founder and CEO, Graeme Wilson. Client Alana Bond, the MD of Johannesburg-based economic development company Simanye, agrees. “Just because we are a small business does not mean we are not exposed to big risks, and if something goes wrong, we could be out of business overnight. But despite the risks, we can't afford big legal bills. We use Whipping the Cat for all our employee-related matters and to put the right commercial agreements in place. They do this for us pragmatically and without unnecessary legalese. 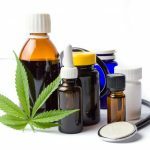 This gives me peace of mind that the legal aspects are understood and taken care of, and . . .
Sesli Textiles, manufacturers of domestic and corporate blankets, is introducing an exciting range of high-end good quality luxury blankets, with an opulent touch and feel imported from Turkey. The blankets are available from baby to queen size and can be machine washed on a cold water gentle cycle. Sesli manufactures top-quality blankets by using the best imported and local materials since 2000. Sesli has a wide product range with blankets that are recognised for their superior quality, aesthetic design and extreme comfort. 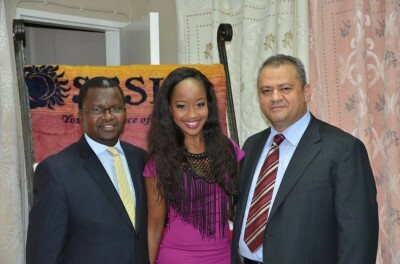 CEO of Sesli Textiles, Mr. Mustafa Sesli, says; “Many of our customers wanted a blanket with a new touch and feel. Something new and exciting. Sesli Textiles then sourced a blanket from Turkey that is of good quality and has a feel of luxury and found the Sparkle and Colourful blanket. We have imported these blankets to test the market and see what the response would be, ideally to start the manufacturing process at our Johannesburg plant.” The local blanket range includes home décor, sports, corporate, church, hotel and grey recycled blankets which is assembled from acrylic yarn that is not only moth proof, but also allergy resistant, anti-bacterial and non-flammable. Sesli boasts the latest technology of weaving looms in the weaving department. About Sesli Textiles Sesli owes its success to decades of experience as well as their integrity, professionalism and dedication to superior standards of manufacturing at our high-tech factory. Sesli supports a number of charitable initiatives in association with the Nelson Mandela Foundation, The Sparrow Village, CANSA and The Muscular Dystrophy Foundation. The Sesli difference As we are all aware the Chinese exports blankets to South Africa at a very low cost, which in turn allows them to sell the product at a low cost. Many South Africans are unaware that the blankets are manufactured with hazardous materials and is of very poor quality. The poorly manufactured Chinese imported . . .
There’s a delicious treat waiting for you on Saturday October 5 when whatever can be poured, plated and produced from the Santam Swartland Wine & Olive Route comes to town. This deliciously different Farmers Market celebrates the bounty of the Swartland region and the Stone Cottages at Kirstenbosch will be abuzz with the hustle and bustle of a day in the country. 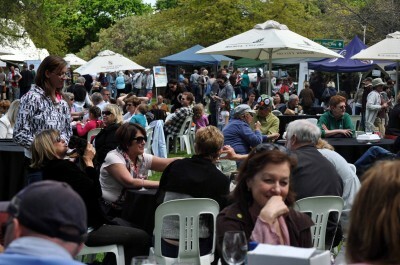 Wine will be poured (and tasted), the robust flavours of this celebrated route will be on sale for that special country style lunch and a little music will provide a gentle background. More than 35 stalls will present the produce of this unique and un-spoilt region where hospitality and congeniality go hand in hand. Experience the bonhomie of the winemakers and their deliciously different wines, dip some of the homemade breads into peppery olive oil – the region’s oil is winning international awards and try olives and preserves that will have your mouth watering. A relaxing day is planned with lots of activities to keep the whole family entertained. What can be poured, plated or produced is on sale so join us as we discover an area which offers lots of surprises and a rich selection of food and wine. Saturday October 5 at Stone Cottages at Kirstenbosch 10h00 until 16h00 Free Entry Wine -tasting including a wine glass and 10 tasting vouchers R40 per person. Enquiries: Tel: 022 487 1133 or e-mail: swartlandinfo@westc.co.za More Info link:: Twitter: Facebook: YouTube: Author: Jessica Miller from Hippo Communictions. Originally distributed by MyPR.co.za. No of Images Uploaded: One For high res version/s of these One image/s please contact: Hippo Communictions Images: . . . 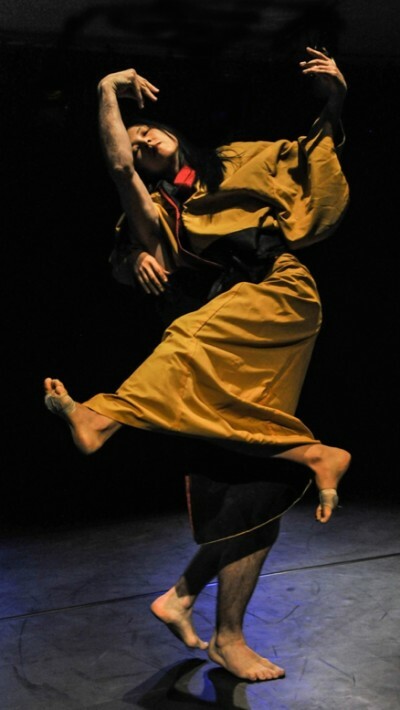 The Gordon Institute for Performing and Creative Arts (GIPCA) will host performances by two leading international contemporary dance companies: EIRA from Portugal and T42 from Switzerland. These performances will take place from 11-14 September at Hiddingh Hall, and follow on the heels of performances at Jomba! Dance Festival (Durban) and Dance Umbrella (Johannesburg) by both companies. The evenings of 11 and 12 September will feature T42’s Misato Inoue and Félix Duméril in Another Chopsticks Story and Swan. Another Chopsticks Story takes Madame Butterfly as a point of departure, using the famous opera to examine ideas around orientalism and identity, and false binaries between East, West, male and female; while Swan explores the physical, aesthetic and kinesthetic representations of innocence, vulnerability and elegance, as inseparable from pain, fear and guilt. “We may say white is the absence of color, as purity has no memory, while black is the saturation of colour as recurrent waves of pain and discreditable secrets. We look deeply into this profound despair, fear guilt and anger and we find a similarity to innocence, such as the infinite field of unfolding possibilities” comments choreographer, Misato Inoue. The second company, EIRA, will perform Our Lady of Flowers and The King in Exile (remake) on the evenings of 13and 14 September. Our Lady of Flowers, a solo by Francisco Camacho, shares its title with the Jean Genet novel. Presented in over forty venues in Europe and South America since its première in 1993, the piece employs a choreography of convulsion, obsession, failing physiological systems, and of the collapsing body – a dance of absolute sensual experience. It is an invocation of ghosts, of ridicule and laughter, of sensuality and obscenity. In The King in Exile (remake), Camacho draws inspiration from the figure of Dom Manuel II - the last king of Portugal, known as "the Patriot" or "the Unfortunate," who ascended the throne after the . . .